Click on the menu above to find more great places to visit in New Jersey! 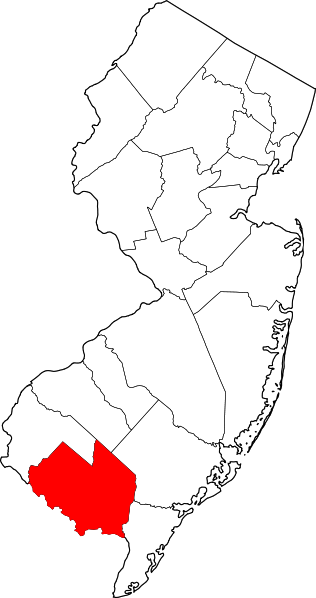 Cumberland County is governed by a seven member Board of Chosen Freeholders. Freeholders are the equivalent of County Commissioners in other states. They are elected to a three-year term by registered voters in Cumberland County. Serves as the public information center for county government departments and agencies. Responsible for the day-to-day operation and supervision of the county departments and their divisions and projects. Responsible for the adminstrative and supervisory functions of the board of freeholders. The county's chief law enforcement officer. Manages all legal matters for the county, and represents the county in litigation. Responsible for providing highly technical and specialized services to local law enforcement agencies. Extends from Sunset Lake to the Cohanzick Zoo. Features along the trail include a fish ladder or fish passage at Sunset Lake and environment education signs to promote public education about the ecosystem, fish, and fish migration. Enjoy the scenic Delaware Estuary from the decks of the AJ Meerwald Schooner. The schooner is an authentically restored 1928 Delaware Bay Oyster Schooner. The 115 foot long AJ Meerwald is listed on the National and New Jersey Register of Historic Places. Passengers can take part in sailing the schooner while learning about the natural resources that historically supported and molded the Bayshore communities. Located in downtown Bridgeton along the Cohansey River, the Riverfront hosts a variety of quality family entertainment. The Cohanzick Zoo, New Jersey's first zoo, has been providing education and enjoyment to the community of Bridgeton since 1934. Located in Bridgeton's 1,100-acre city park, the zoo has over 200 birds and mammals from around the world. White tigers, bears, leopards, ring-tailed lemurs, and eagles are only a few of the magnificent animals that may only be seen at the Cohanzick Zoo. The East Point Lighthouse has played an important part in the maritime history of the Maurice River area of Cumberland County, New Jersey. Originally known as the Maurice River Lighthouse, it was erected in 1849 by the United States Lighthouse Establishment. The present name was initiated in 1913. Located along the Delaware Bay in Downe Township, Cumberland County, New Jersey, The Glades Wildlife Refuge is a conservation project of the Natural Lands Trust, a regional land trust based in Media, Pennsylvania. Extending from Raybins Beach, north to Ackley Road, the Refuge consists of three tracts: the Glades proper, Bear Swamp West, and the Reineman Wildlife Sanctuary. All three tracts are managed by Natural Lands Trust as a single system, which to date totals approximately 5,300 acres. More than 3500 acres, Manumuskin River Preserve is the largest Conservancy preserve in New Jersey. This preserve was established to protect the globally rare plant, sensitive joint-vetch, Aeschymnome virginica. The population of sensitive joint-vetch along the Manumuskin River is the largest, healthiest stand in the world. The preserve also hosts other rare plants, animals, and plant communities mainly due to the pristine water quality and undisturbed nature of the area. Fifteen of New Jersey's threatened and endangered species of birds breed in the Manumuskin River Basin. At the Meadow Wood Environmental Sanctuary, you can go canoeing, fishing, birdwatching, nature trailing, and just enjoy the wildlife and beautiful scenery. The Maurice River corridor is an unusually pristine Atlantic Coastal river with national and internationally important resources. As part of the Atlantic flyway, its clean waters and related habitats are vitally important to the migration of shorebirds, songbirds, waterfowl, raptors, rails, and fish. Other important resources include a rare and endangered joint vetch, shortnose sturgeon and striped bass, and a pre-historic settlement site. Historically, the Maurice is home to a rich fishing, boating, and oystering heritage. The river supports New Jersey's largest stant of wild rice and 53 percent of the animal species that New Jersey has recognized as endangered, excluding marine mammals. The Japanese attack on Pearl Harbor during the time of World War II in December of 1941 made the Americans fear that the Japanese-American population would also turn against the United States. Because of this, President Franklin Roosevelt signed Executive Order 9066 that allowed 110,000 Japanese Americans to be considered "enemy aliens" and to be moved into internment camps away from their home on the West (Pacific) Coast. These individuals were given one week to pack and be evacuated to ten different, overcrowded internment camps around the country. While barred in these camps, farms around the country were in need of workers. One of these was Seabrook Farms. This South Jersey museum is dedicated to individuals and teams of all sports in this region of New Jersey. Photos, equipment, scrapbooks, and other memorabilia of many well known men and women of national fame and regional and local renown in sports are on display in this modern and spacious facility. NJ's only drive-in movie theater! 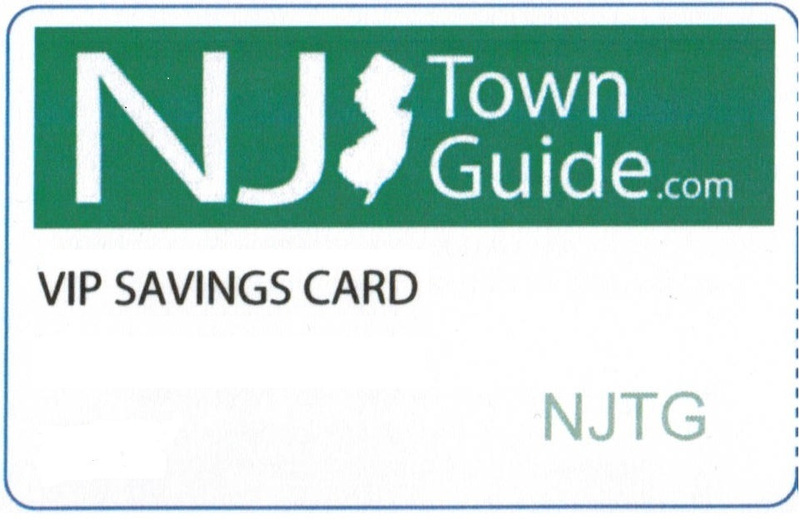 Get njtgo.com's VIP savings card and get discounts at participating vendors all over the New Jersey. Own a NJ Business? Get more customers to visit your business! It's FREE! Click Here to Learn More!